Gary Regan had a bitters problem. Back before the cocktail renaissance really took off he couldn't find any acceptable orange bitters. So he set about making his own. Drawing from old orange bitters recipes, he locked himself in a room (so the story goes) and started making test batches until he got to batch No 5. 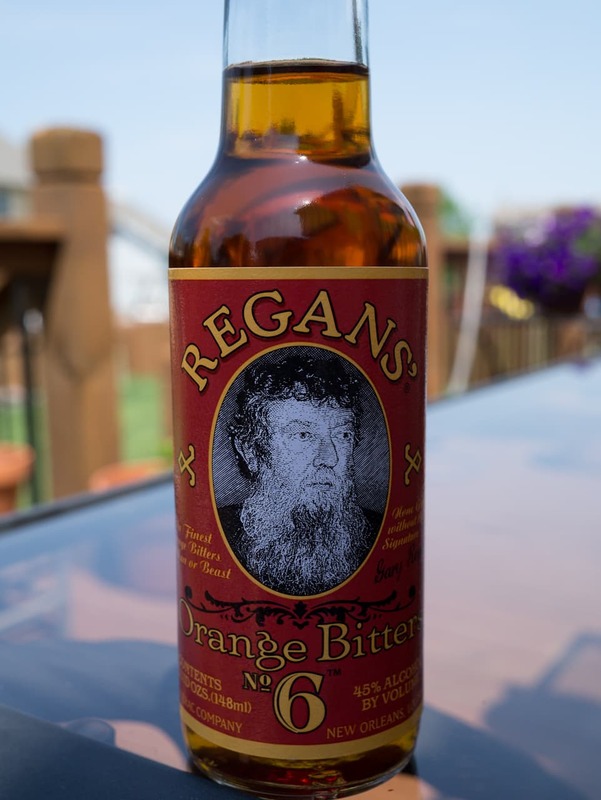 There Regan decided he had succeeded and proceeded to try to produce his bitters commercially. Unfortunately whatever labyrinthine government agency that had to approve the orange bitters decided that they bitters were so good and so palatable that they sent Regan back to the drawing board before he could bottle commercially. According to the government, bitters can't be too tasty I guess or you might drink them from the bottle. Regan tried again again and Regan's Orange Bitters was born from the sixth test batch (this is the commercially available recipe). I detect some extra spiciness and some faint celery and/or vegetal notes in Regan's Orange Bitters. This is not just clean orange flavor that we find in Angostura and to some extent Fee Bros orange bitters. Regan's has some added complexity and I have adopted it as my house orange bitters. Another bonus is that if you can find Regan's Orange Bitters, they are quite inexpensive...about half the price of Angostura orange bitters. Regan has put the recipe for batch number five into the public domain (just Google it). So if you want to try to make the version of Regan's Orange Bitters that the government wouldn't allow you to have, you're free to try. I will probably get around to trying it soon.